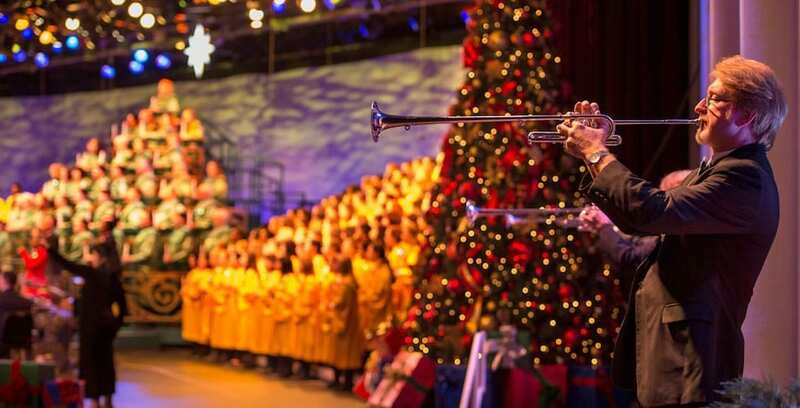 Even though we haven’t yet reached the halfway point of summer, Walt Disney World is already prepping for the holidays – part of the lineup of narrators for this year’s Candlelight Processional has been revealed. Part of the narrator lineup for this year’s Candlelight Processional has been revealed. A traditional part of the Epcot International Festival of the Holidays, the Candlelight Processional is one of the most loved events at Walt Disney World. This year’s event will begin on Thanksgiving Day, Nov. 22, for the first time ever. This unique experience presents the traditional story of Christmas with a 50-piece orchestra, a massed choir and a celebrity guest narrator. The processional is performed three times each night, at 5 p.m., 6:45 p.m. and 8:15 p.m. at the America Gardens Theatre. On select evenings, Candlelight Processional Dining Packages that include a meal and guaranteed seat will be available. These dining packages go on sale next Wednesday, July 11. 12/28 – 12/30: Cal Ripken Jr.
Breakfast, lunch and dinner options are also available this year at Epcot-area resort restaurants like Ale & Compass at Disney’s Yacht Club Resort, with breakfast and dinner options being offered at Trattoria Al Forno at Disney’s Boardwalk. To book your Candlelight Processional dining reservation once they become available, click here. Can the dining plan be used to pay for the candlelight dining package? What time do you expect the dining packages to go online? Can Tables In Wonderland discounts be used for the dining package for the Candlelight Processional?